Building on the success of the original Numark NV, the Numark NV II Serato DJ Controller packs in the same great specification but in a low-profile chassis that's finished in darker, sleeker tones that makes this one of the best looking, most powerful controllers on the market. The NV II gives you four decks of dynamic control over your mix, allowing you to make it as delightfully complex as you like. With this in mind, the NV's colour screens provide library navigation and detailed waveforms that are respective to each deck. Command over each deck is seamless, allowing you to load songs, trigger effects, set Cue points, or whatever you like - with minimum effort. 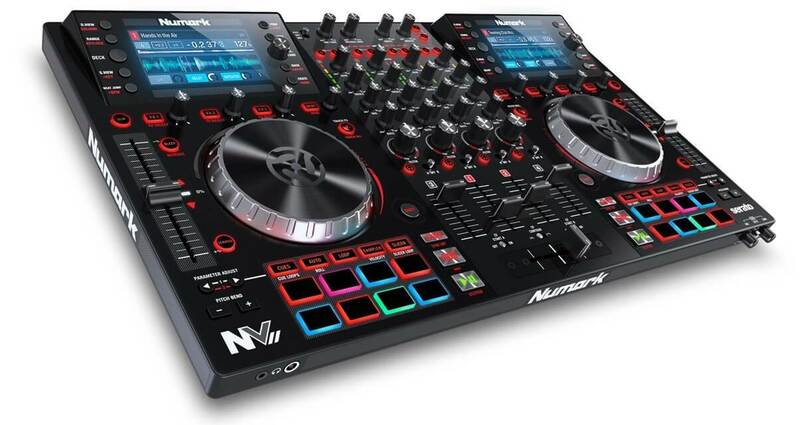 As we've come to expect from the team at Numark, the NV II features their awesome touch-activated controls and performance pad modes that we introduced with the NS7II, giving you the capability to manipulate tracks on-the-fly, bringing your performances to life. Let your creativity run wild through the range of EQ, FX and dynamic controls. The brand new 5-inch touch-activated platters offer tactile and responsive control over each track, enabling you to perform scrubs, scratches and jogs with incredible dexterity. Thanks to Numark's unique adaptive platter technology, the NV optimises itself based on user contact and the playing environment. Therefore, it doesn't matter who uses the NV II or the playing environment in which they're used, you're guaranteed a consistent response every time! Each one of the 16 velocity-sensitive pads provide the perfect surface on which to execute intuitive control over 10 pad modes for finger drumming, sample slicing, seamless looping, hot cues and more. Every pad is backlit with RGB illumination, providing colour-coded feedback within each mode for simple operation - particularly useful in dark clubs. As with the adaptive platter technology, each pad is designed to respond to the playing style of the user. 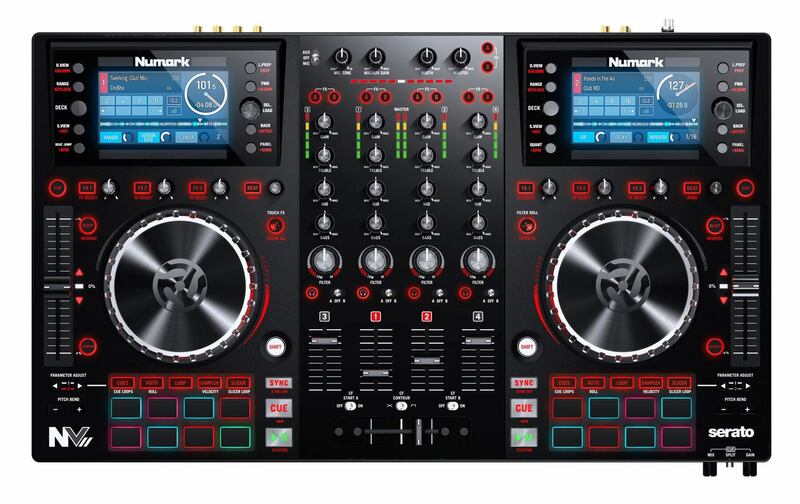 The Numark NV II Serato DJ controller is a no-nonsense, road-ready kit that offers professional-level quality and control at an unbelievably affordable price. Sitting under two inches tall and being incredibly light in weight, the NV slips discreetly into your backpack. Connectivity comes in the form of Booth/Master RCA outputs, as well as balanced XLR outputs that give you access to any PA system. There is a mic input and two headphone outputs, negating the need to lug around additional equipment. With the Numark NV II Serato DJ Controller, all you need to do is connect via the USB connection to your Mac or PC, load up Serato and take your party on a journey!